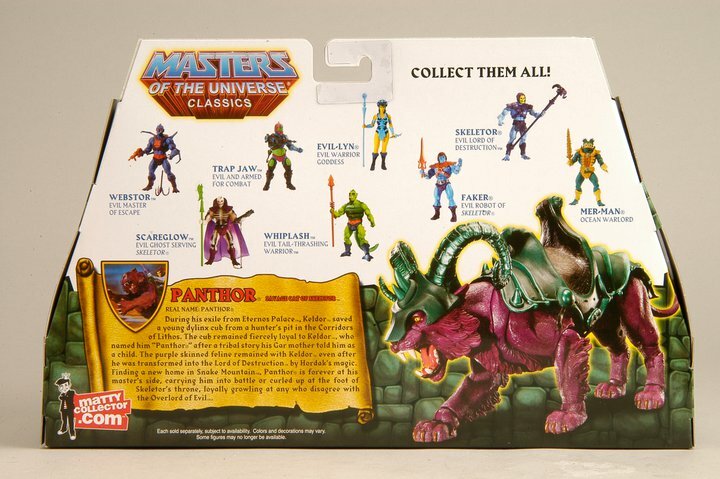 MattyCollector’s Facebook Page has been updated with the first official photos and info for the upcoming release of a Masters Of The Universe Classics Panthor. We just got in packaged samples of Panthor and wanted to get them up for your viewing pleasure. 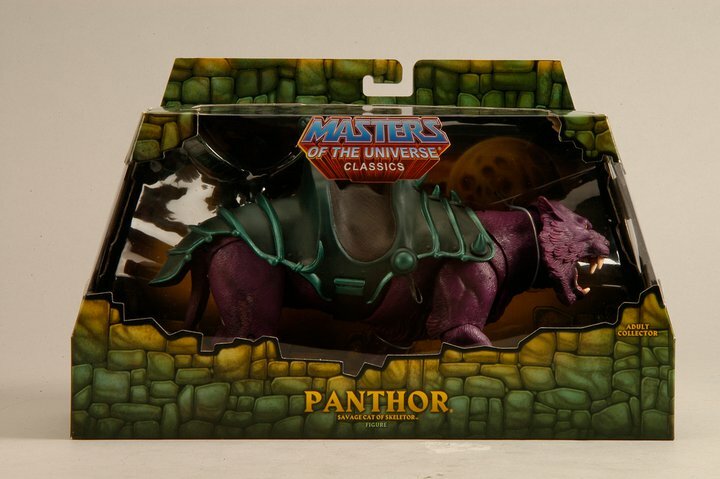 Panthor goes on sale in April only on Mattycollector.com as part of the Club Eternia program (with extra units for sale to non Club members as always!). To see the photos, click the headline of the story. Discuss on the Toyark Forums› Views: 5641 › Credit: MegaPrime33 of the Toyark Forums! According to matty on his facebook page, we will be getting Panthor. Click the link to see pics of him in and out of the package! That headgear is AWESOME. It almost makes me want to try to buy it. i absolutely cannot wait! so bought. I'm not sure that I like the head gear/helmet, but that's not enough to stop me from buying this one. 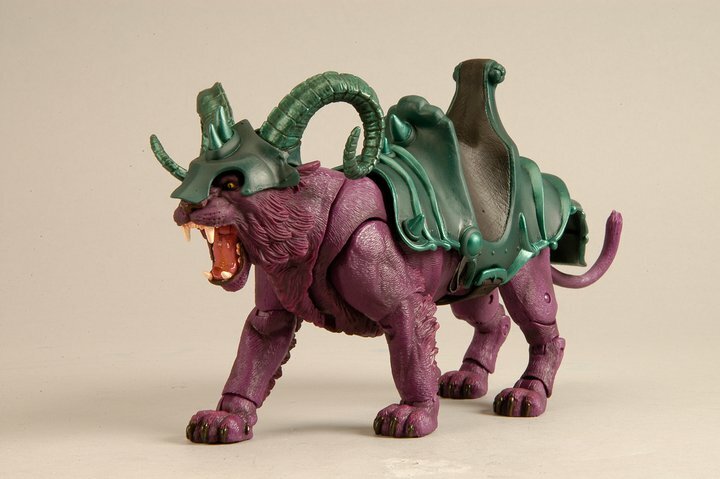 Panthor looks cool.....still wish he was "flocked" though! I like the new helmet design, though. 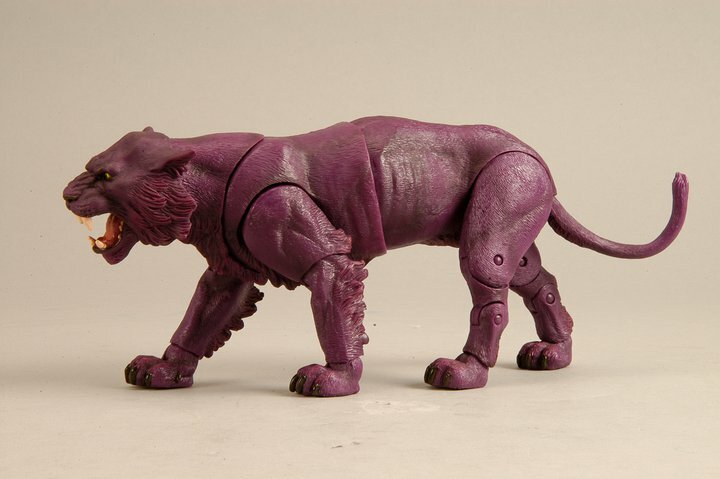 IIRC, Panthor didn't get one in the original series. 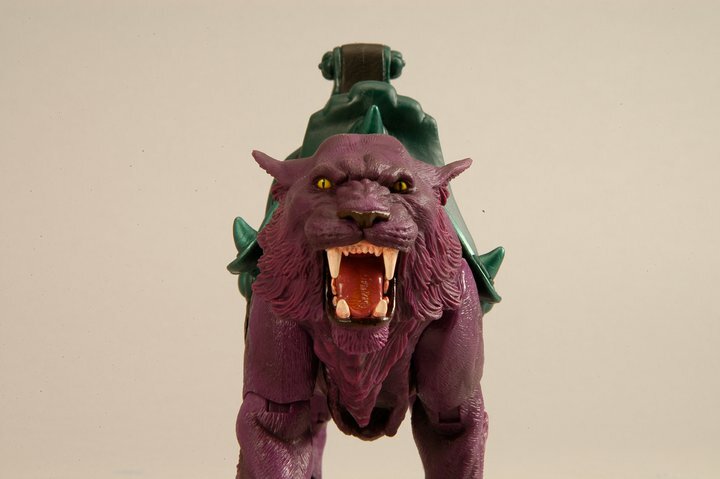 Agreed.....looks like Matty made up for the original Panthor not getting a helmet. I LOVE my Panthor! He's so badass! I don't care that he's not flocked. And the helmet is just awesome! agreed. and the deep purple he is cast in combined with darker paint apps make him almost appear velvet. he's a win in my book. I'm a fan of this Panthor as well. They did a nice job. His eyes stand out from across the room... reminds me of MJ as the Thriller wolfman. The paint detail on the saddle looks really good too. Unfortunately, mine came with a broken leg joint, but Matty is taking care of me. I got mine today and he is great. The colors are nice and vibrant and I really dig the new helmet. Hey guys does anyone need a Panthor? I accidentally got two... I was out of town when he came up for order and my friend that ordered it accidentally purchased two. All I'm looking to get is the total I paid for it, which was $40.55. I haven't even taken it out of the box that mattycollector shipped it in, so if anyone is interested send me a PM.